I would say I have a newfound sourdough obsession, but instead I'll just say that I am a responsible sourdough caretaker. I don't want Bertha to starve. I certainly don't want her to feel unloved. And it turns out I am always happy for an excuse to make breads, muffins, pancakes, waffles cakes.... carbs! Mmmmmm, carbs! 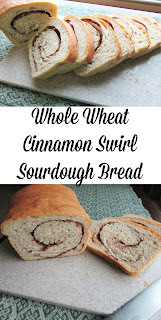 So I took the recipe for my favorite Whole Wheat Sourdough Sandwich Bread and added a cinnamon swirl. Of course it would be good toasted with butter and maybe a little more cinnamon sugar. I mean, of course! 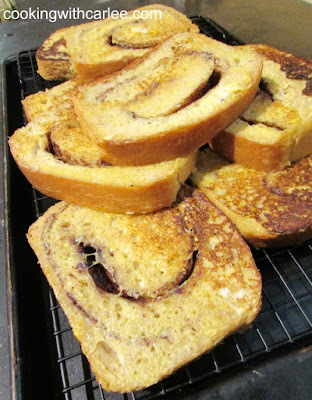 But, I baked it specifically to be made into french toast. It makes a mean french toast! So do with it as you may, but just do yourself a favor and give it a try! Stir together warm water, yeast and sourdough starter until the starter is dissolved. Mix in whole wheat flour and let sit for 7-10 minutes to hydrate. I like to start my kneading in the bowl to contain the mess, then turn it onto the counter once the dough comes together and starts getting a little elasticity. You can use your preferred kneading method to knead the dough into a smooth ball, about 8 minutes. Place dough in a lightly greased bowl and cover with a damp towel and let rise until doubled in size (about 1 1/2 to 2 hours). To shape the dough, pat it out into a rectangle. Spread with butter, sugar and cinnamon. 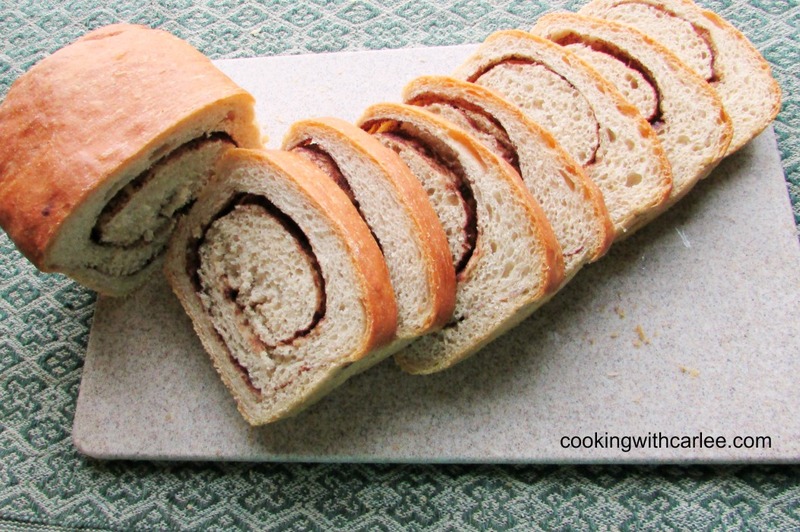 Roll tightly and place in greased loaf pan. Cover with the damp towel and let rise for 1-1 1/2 hours or until it has risen over the edge of the pan. Brush gently with melted butter, being careful not to deflate the dough. Bake at 450 F for 10 minutes and then at 400 F for 25-30 minutes. When finished baking, turn onto a wire rack and cool completely before cutting. This looks like a great recipe for a very special treat. We love homemade bread and this looks fabulous! I really appreciate you sharing with us at Full Plate Thursday and hope you have a great weekend! Homemade bread is the best and I have been having the best time creating with my sourdough starter. It's so much fun to start with flour and water and end up with delicious bread! I love making homemade bread. 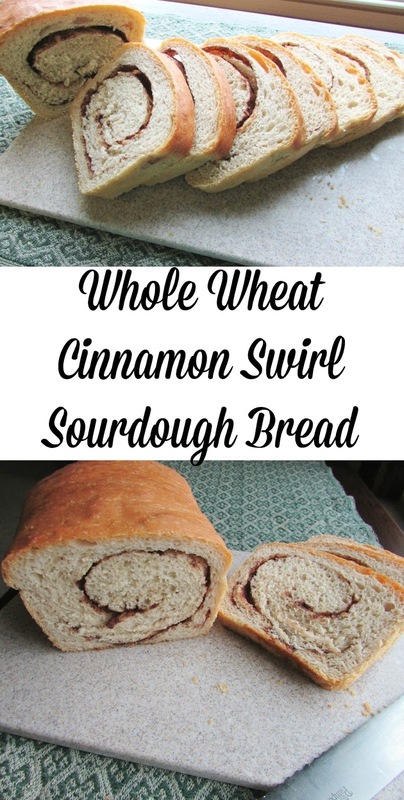 This cinnamon swirl sourdough combo looks awesome, and I love that you use whole wheat flour in it! Visiting from the Weekend Potluck! I love baking with whole wheat where I can. This ration and the sourdough makes for a really nice texture of bread. Of course a cinnamon swirl never hurt anything! I hope you give it a go! I love sneaking in whole wheat wherever I can. Sourdough and the white whole wheat flour seem to get along very nicely! 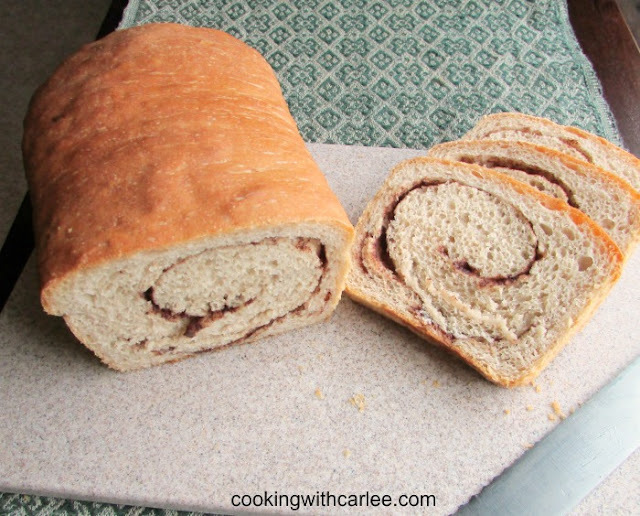 Yum sounds good for Breakfast!Thanks for linking up to Merry Monday! Sharing on Twitter! Have a great week! Hi Carlee, thanks for your sweet comment on the potholders I made!! I love making easy projects for family!! Thanks for sharing this wonderful bread recipe and each one you share at our Cooking and Crafting with J & J.
I really wish I had your crafting skills! Thanks for the party, Julie!